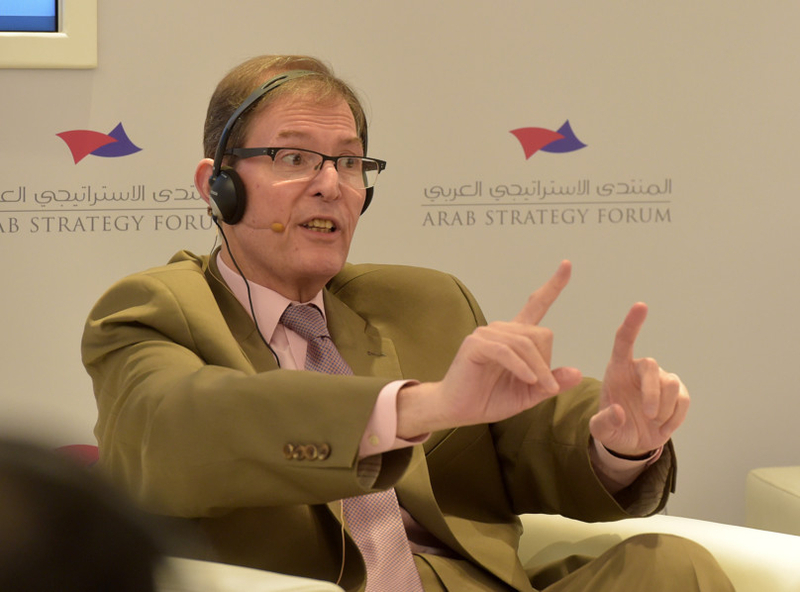 Dubai: The Arab Strategy Forum, in collaboration with the Arab Gulf States Institute in Washington, on Saturday issued a report analysing five key events that could drastically shift the future of the Arab world. 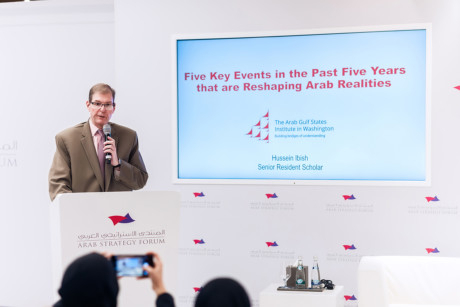 The report, titled ‘Five Key Events that are Reshaping Arab Realities’, is one of many annual studies published by the forum, which takes place on Wednesday in Dubai. The five events the report focuses on are the crisis of political Islam, the rise and fall of Daesh, the rise of pro-Iranian non-state actors, the Qatar boycott, and the socioeconomic reforms in Saudi Arabia. 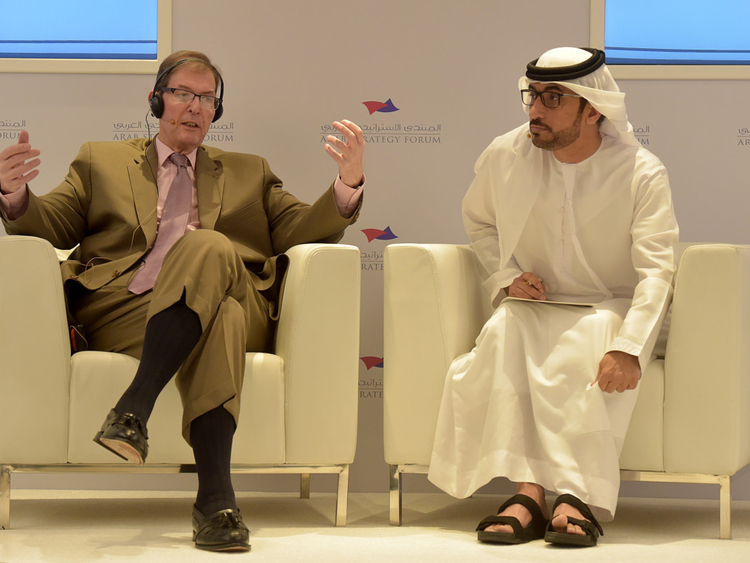 The report was launched at a panel discussion ahead of the forum, led by Hussain Ibish, senior resident scholar at the Arab Gulf States Institute, and Mohammad Al Hammadi, editor in chief of Alroeya newspaper. One of the most significant outcomes of the Arab Spring has been the brief rise, sudden fall, and ongoing crisis of the Islamist movements associated with the Muslim Brotherhood, the report said. By 2013, rather than riding the wave of power, Islamists rapidly sank into a crisis that continues to this day. The turning point was in Egypt in 2013, with dissatisfaction rising after President Mohammad Mursi “bestowed dictatorial powers on himself”, the report said. 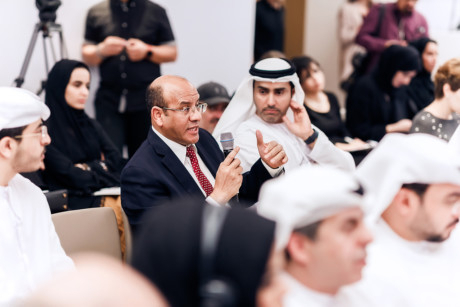 According to the report, some countries of the GCC region, including the UAE, demonstrate the potential of an Arab society that is multi-religious, culturally and ethnically diverse, and religiously and socially tolerant. The report notes that the struggle against some of the most vicious forms of armed religious extremism in the past five years has focused on combating the rise of Daesh. The report also states that while almost everyone welcomes the downfall of Daesh, there is reason to fear that the larger war against extremism continues. The report said that in addition to the jihadist groups, a different set of extremist non-state actors threatens the contemporary Middle East — the pro-Iranian militias. According to the report, one of the most problematic elements in the network of Iranian-backed extremist and non-state actors are Al Houthi militia in Yemen. Saudi Arabia and the United States have accused Iran of supplying Al Houthis with rockets and missiles, which the group used to target a range of Saudi cities since 2017. The report also said the boycott of Qatar by Saudi Arabia, the UAE, Bahrain, and Egypt that began in early June 2017 resonated on a regional and global level. The standoff, it said, which is now well into its second year, influences relations not only between these countries, but also between their friends and allies within the region and beyond, and even affects the decisions of great powers, such as the US. The report said the dramatic transformation of Saudi society has broader regional resonance and significance. Saudi Arabia has emerged as a decisive regional power with the UAE as its strongest regional partner. Therefore, the reforms will not be contained within Saudi borders but are likely to create an enormous ripple of influence across the rest of the region. The report states it is no exaggeration to describe the current developments as the emergence of a ‘Fourth Saudi State’. Also, the Saudi Vision 2030 seeks to fundamentally alter the essential characteristics of Saudi economy, diversifying it away from a near-total reliance on oil. -An outcome of the Arab Spring has been the brief rise, sudden fall, and ongoing crisis of the Islamist movements associated with the Muslim Brotherhood. -Rather than riding the wave of power, Islamists rapidly sank into a crisis that continues to this date. The turning point was in Egypt in 2013, after President Mohammad Morsi bestowed dictatorial powers on himself. -Rise of Daesh follows ‘jihadist’ militant groups that emerged in the aftermath of the 1979-89 war against the Soviet invasion of Afghanistan. -While almost everyone welcomes the downfall of Daesh, there is good reason to fear that the larger war against extremism continues, and it is an uphill struggle. -The report reveals that Daesh has lost its caliphate, but it has not been eliminated or even defeated as an organisation and especially as an idea. -One of the most problematic elements in the network of Iranian-backed extremist and non-state actors are Al Houthi militia in Yemen. -Saudi Arabia and the US have accused Iran of supplying Al Houthis with rockets and missiles, which the group used to target a range of Saudi cities since 2017. -The boycott of Qatar by Saudi Arabia, the UAE, Bahrain, and Egypt that began in early June 2017 resonated on a regional and global level. According to the report, the standoff, which is now well into its second year, influences relations not only between these countries, but also between their friends and allies within the region and beyond, and even affects the decisions of great powers, such as the United States. -Dramatic transformation of Saudi society has broader regional resonance and significance. Saudi Arabia has emerged as a decisive regional power with the UAE as its strongest regional partner. Therefore, the reforms will not be contained within Saudi borders but are likely to create an enormous ripple of influence across the rest of the region.